K: Do you like to eat broccoli? D: No, I hate it. K: Do you like carrots, celery, or tomatoes? D: I hate all vegetables. K: It must be hard to eat with you! Do you both like vegetables? Go over the below vocabulary & expressions with your tutor. Do you speak English? Yes, I do. Do you like broccoli? _________. Do you like lettuce? __________. Do you like onion? ___________. Do you like celery? ___________. Do they like eggplant? No, they do not. Does he like cauliflower? _________________. Does she like cabbage? __________________. Do you like corn? _______________________. Do I like carrots? ________________________. does, like, not, vegetables, he – He does not like vegetables. onion, we, like – __________________________. not, you, do, like, asparagus – ________________________. they, do, zucchini, like – ___________________________? does, like, she, pumpkin – ___________________________? Describe what a tomato tastes like. Describe how a carrot is different from a cucumber. 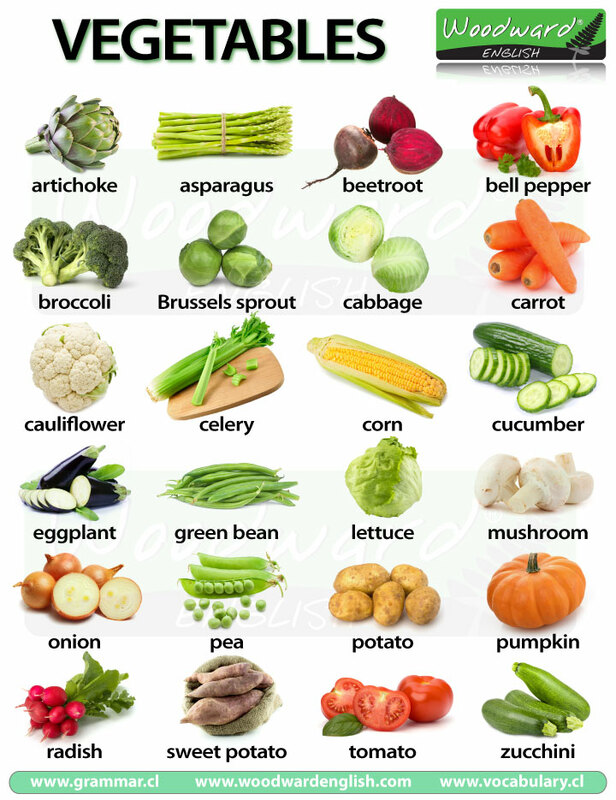 How do you prepare your favorite vegetable? ← Lesson 2: Where are you from?